Created on Feb. 28, 2012, 12:26 p.m.
On December 8th, 1995 Jean-Dominique Bauby the editor of Elle magazine suffered a stroke and lapsed into a coma for 20 days. When we woke he found himself completely paralysed except for minor movement of his head and eyes. During the following year Bauby, by only the process of blinking his left eyelid, created one of the most important books of the 20th century - The Diving Bell and the Butterfly. A beautiful insight into what the world looks like to the eyes of a paralysed man. It documented the everyday events for Bauby and his recovery. The meeting of visitors and the movement around the hospital, confined to a wheelchair and pushed by a nurse. In a wheelchair is often how I feel playing computer games. Hunched over my computer with my controller in my hands - interaction limited to two sticks and ten buttons - the monitor stimulating my eyes, ears and nothing else. But games are not like staring at a grey wall. They are a set of engaging mathematical systems and artistic escapisms. They are a media of experience and self-expression. In one chapter Bauby describes his french-frequency-ordered alphabet, the tool that allowed him to write his book. He proclaims his love and respect for it - the incredible way it lets him express himself, its beautiful simplicity and efficiency. But Bauby also expresses his frustration as his condition. In another chapter he is playing Hangman with his family. Hangman begins to frustrate Bauby. He is tired, bored and his inability to tell his family, his longing for a real conversation, overwhelms him. At that moment he longs for something more - something real. Playing games I tire very quickly of character dialogue. It would be horror if the dialogue of real life was constricted in ways games limit it. How alone would you feel if everyone only talked to you in stock phrases. This horror was partially real for Bauby. He was trapped in this limited state of interaction and could not simply go to the main menu and exit. In a later chapter Bauby is excited. He is being taken for a trip along the sea-side with his family. Throughout the chapter he hints that the group are approaching what is a treat for him. One of his favourite things in the world. This treat is not a particular view, or the voice of a friend, or a chance to play a particular game in his mind. It is the deep, rich smell of chips - frying on the pier in the sunshine. We can't create smells in games. It is harder to so deeply evoke an emotion. Games are limited to sound and vision. 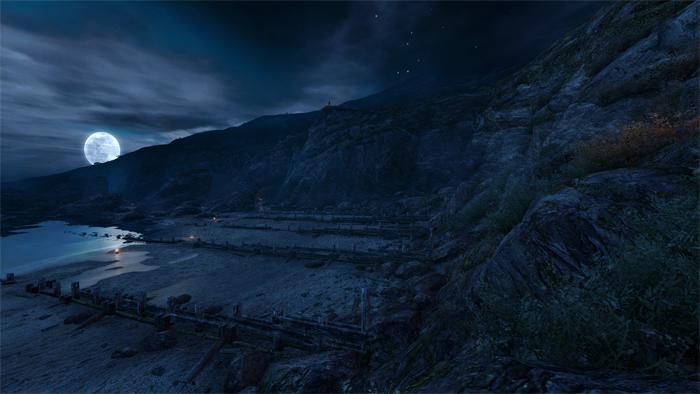 In Dear Esther The Chinese Room have created a visual and audio experience which is Deep, Emotional and Beautiful. Robert Biscoe has created each scene like a painting, sacrificing exploration for composition. It was far more emotional than I was expecting. More than I felt was possible for a game. I felt myself longing to reach out and touch the dune grass poking out of the cliffs, or run my hands through the sea water. It was almost as if I was taking a walk on that hebridean island myself, contemplating my own life. Almost. 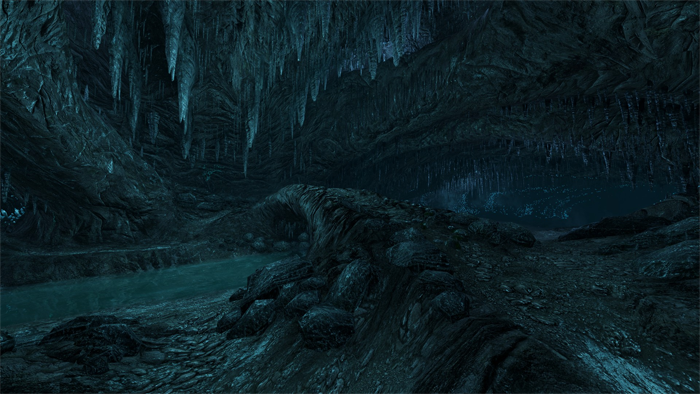 Dear Esther is two steps backward and a bold step forward along a new path. Games have a long journey down this path until they reach the humble smell of chips frying on a pier. 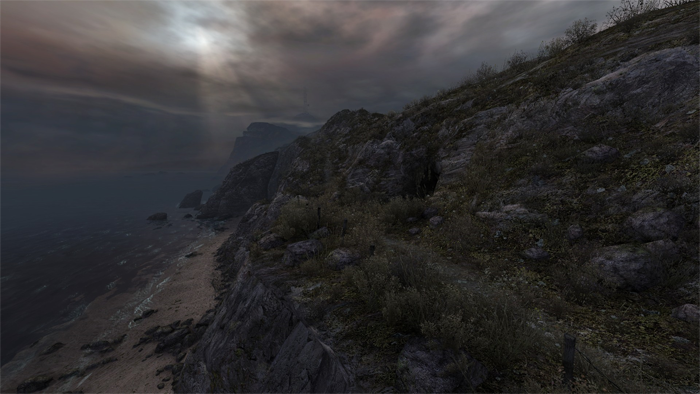 But tying our boots, and pushing us out the door into the sunshine, is Dear Esther - and what an incredible way to begin the journey.